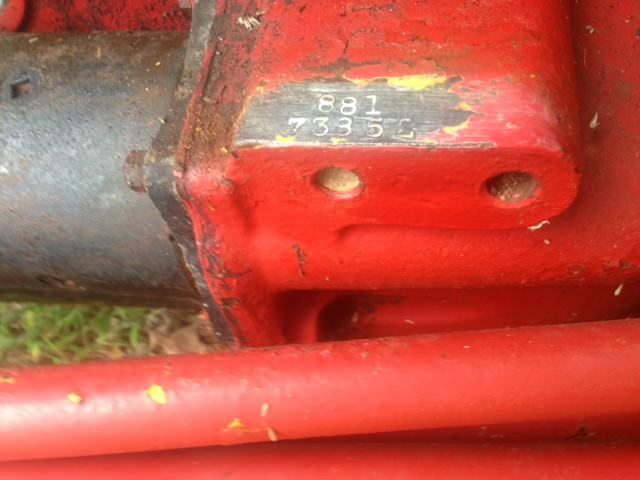 I have a Ford Tractor Model # 19 105 / Serial # 1561, And what series it is? Left side of the block, right of the oil canister, just below the head you should find a boss where the serial number was stamped. Probably real light and hard to read. Since the number you posted 19-105 is probably off the loader check just behind the starter above the two holes for model and serial number. That is the model and serial of the front end loader attachment. Finding out the Year of my Tractor? You don't need all the numbers, just one. Go to "Smith's Old Ford Tractor" website, and look at the tractor ID section. That will tell you what to look for, and where the serial number is located. Those cast in numbers are part casting numbers, and some parts might have been swapped out over the years, so they might not be original parts that were on the tractor when new.